China is facing an epidemic of African swine fever, which is totally unrelated to this event in Japan. To date, Japanese Veterinary Services have ruled out the occurrence of ASF in this outbreak or in the country. 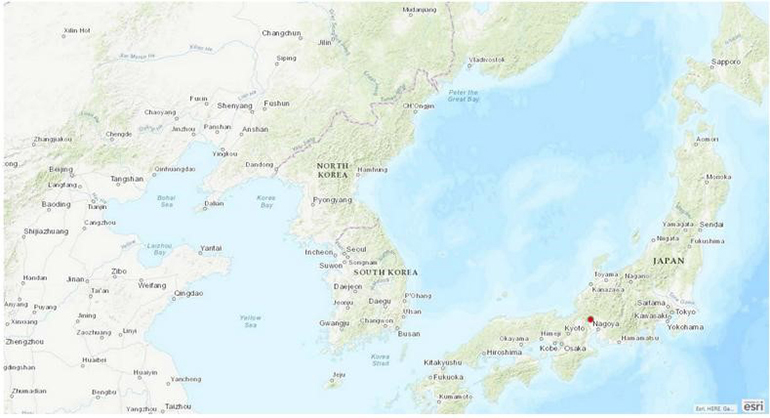 On Sept. 9, Japan reported the occurrence of Classical swine fever, in a farm located at Gifu Prefecture, in the central area of the country. Last week, one pig died suddenly, followed by the mortality of 80 others. On Sunday, officials declared the animals as tested positive for CSF, also known as hog cholera. Currently, China is facing an epidemic of African swine fever, which is totally unrelated to this event in Japan. To date, Japanese Veterinary Services have ruled out the occurrence of ASF in this outbreak or in the country. A task force was implemented, and the remaining 610 pigs were culled to contain the outbreak. By Monday morning (local time) depopulation of the farm was completed. At first, no clear origin of infection was identified as feed was commercial, nor were there known foreign labors or visits from countries endemic with CSF working on the farm. At this point, cause of the virus introduction is unknown and under investigation. Exports of pork have been suspended until the veterinary services can understand the extent of the outbreak and if the measures were sufficient to contain it, while investigations about possible routes of introduction are implemented as well. The Gifu Prefecture is not the major area of swine production, and it is located 500 miles from the south region, the highest pig-dense area. Figure 1: Map of Japan and prefectures. In red, location of the Gifu Prefecture, in central Japan. The highest pig-dense area of Japan is located in the south region of the country (adapted from Sasaki et al.,2017) approximately 500 miles from the Gifu Prefecture by road. CSF is a notifiable disease and affects the international trade of pork, however, clinically it is usually considered less severe than ASF. Currently, it is considered endemic in many countries, including China, therefore it is a disease with potential direct and indirect effects to the U.S. industry. Depending on the strain, extent of the outbreak, route of introduction and effectiveness of biosecurity measures to contain and prevent re-introductions, it could offer different levels of risk. Commercial vaccines are available for CSF control. The last CSF outbreak in Japan was in 1992 in Kumamoto Prefecture, and in 2007 the use of vaccination was banned, and disease eradication was declared in the country. The Japanese swine industry is still recovering from the 2013-16 porcine epidemic diarrhea outbreak. On July 9, USDA’s Animal and Plant Health Inspection Service published the official notice of the OIE recognition of Japan as CSF-free. Currently Japan exports pork, and it is in the top -10 pork producing countries in the world. FAS/Tokyo estimates Japanese swine slaughter held stable at 16.336 million head in 2017. Figure 2: Report of classical swine fever in Japan. In red, Gifu Prefecture in Japan, located in the central area of the country. Score 2. SDGS - Significance score: A scoring system to assess the likelihood a disease event will impact the global swine industry. Scores range from 1-3 (low-high) based on the novelty of the disease, effect on the swine industry and impact on trade. Yosuke Sasaki, University of Miyazaki; and Satoshi Otake, Swine Extension and Consulting Inc., Japan.